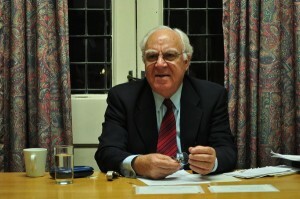 In this column, Farhang Jahanpour – former professor and Dean of the Faculty of Languages at the University of Isfahan, who has taught for 28 years in the Department of Continuing Education at the University of Oxford – traces the current rivalry between Sunnis and Shiites back to the Safavid dynasty which started at the beginning of the 16th century and ruled large parts of today’s Middle East and western Asia. OXFORD, Nov 2 2014 (IPS) - When the Islamic State of Iraq and Syria (ISIS) suddenly emerged in Iraq, it declared as one of its first targets the Shiites and what it called the Safavids. The Safavid dynasty (1501-1736) was one of the most powerful Iranian dynasties after the Islamic conquest. At its height, the Safavid dynasty ruled an area nearly twice the size of modern Iran, including large parts of modern Iraq, Kuwait, Bahrain, eastern parts of Turkey and Syria, and large areas of western Afghanistan and Baluchestan, North Caucasus, as well as parts of Turkmenistan and Uzbekistan. However, what most irks Sunni jihadists is the fact that the Safavids made the Twelver school of Shi’ism the official religion of Iran, something that has continued to the present day. The interesting point is that the Safavid dynasty had its origin in a Sunni Sufi order, but at some point they converted to Shi’ism and then used their new zeal as a way of subduing most of Iran. The zeal of the Safavids was partly due to the fact that they were fighting against the Sunni Ottoman Empire, and therefore their adherence to Shi’ism was mainly political in order to set them apart from the Ottomans who also carried the title of Sunni Caliphs. The Safavids made their capital Isfahan into one of the most beautiful cities in Iran and the Middle East as a whole. The Iranian Constitutional Revolution (1905-11) laid the foundations of modern Iran, with a constitutional monarchy. The two Pahlavi kings (1925-1979), while ruling as absolute monarchs, were militantly secular and tried to modernise Iran and turn it into a Western-style country. However, not only did the 1979 Islamic revolution end that period of secular reforms, but it also put an end to a 2,600 year-old Iranian monarchy, and replaced it with a clerical regime. What makes the Islamic revolution unique is that for the first time in the history of Iran, and indeed in the history of Islam, it brought clerics to power. Although Ayatollah Ruhollah Khomeini called his revolution of 1979 an Islamic revolution, in reality it was a Shi’a revolution and it derived its legitimacy from the Shi’a concept of the Imamate. According to the Shiites, the true succession to Prophet Muhammad belonged not to the Orthodox Caliphs, but to the Shi’a Imams, starting from the first Imam, Ali Ibn Abi Talib, and ending with the 12th Imam who allegedly went into hiding and who would reappear in the End Times to establish the reign of justice in the world. After Imam Ali, who was assassinated by a member of the fanatical breakaway group, the Khawarij, his oldest son Imam Hasan decided not to challenge Mu’awiyya I who had established the Umayyad Caliphate. However, after Hassan’s death in 669, his younger brother Hussein rebelled against Mu’awiyya’s son Yazid. In a battle against Yazid’s forces in Karbala, Imam Hussein was martyred on Oct, 10, 680, an event that is still marked with great sadness and self-flagellation by Shiites throughout the world. After Imam Hussein’s martyrdom, the rest of the Shi’a Imams led quietist lives, mainly acting as spiritual leaders of their followers, rather than challenging the Sunni rulers. One of the most important concepts set forth by the Sixth Shi’a Imam, Ja’far al Sadiq, was the separation of religion and politics. He conceded that the Caliphs possessed temporal power, but he argued that the Imams were spiritual teachers of society, and their inability to seize power should not be regarded as a sign of failure. This has been the interpretation of the role of the Imams – as opposed to the role of the Caliphs – by the vast majority of Shi’a scholars throughout the ages. However, not only did Ayatollah Khomeini reject monarchical rule, but he even replaced it with the rule of clerics. Both Ayatollah Khomeini and the present Supreme Leader Ayatollah Ali Khamenei base their legitimacy on being the rightful representatives of the Hidden Imam until he returns. This is why the views of former President Mahmud Ahmadinezhad and his close friend Esfandiar Rahim Masha’i about the imminent return of the Hidden Imam caused such consternation among the leading clerics, because if the Hidden Imam were to return soon it would undercut the authority of the ruling clerics. Thus started the birth of the Islamic Republic of Iran in February 1979, which continues to the present day. Initially, Ayatollah Khomeini declared that he wanted to export his revolution to the entire Muslim world, but being strongly Shi’a in nature and ideology the Iranian revolution was not very popular to the majority of Muslims who are Sunnis. The devastating eight-year Iran-Iraq war waged by Saddam Hussein, which was massively supported by the Gulf Cooperation Council (GCC) to the tune of tens of billions of dollars, killed and wounded nearly a million Iranians and Iraqis. The bitter memories of that war still linger in the minds of the people in both countries. Since 2003, when the U.S.-led coalition deposed Saddam Hussein and replaced him with a government led by the Shiites who form a majority of the Iraqi population, Saddam’s supporters in Iraq and the Persian Gulf littoral states have not forgiven the loss of power by the Sunnis. Saudi Arabia has refused to recognise the new Iraqi governments or to send an ambassador to Baghdad. The glory of Iranian Islam was reflected in the Sufi literature written in Persian by great mystics such as Attar, Rumi, Hafiz and Sa’di who produced the most tolerant, the most profound and the most humane form of mysticism. However, the Islamic Republic has been known for its narrow interpretation of Islam, a large number of executions, stoning women to death, lashings and other inhumane practices. Its dogmatic adherence to Shi’a Islam has not helped either Iran or the cause of Islam in the world.